Mary Theresa Metzler, Esquire is a highly regarded professional with more than 30 years of experience in the field of labor and employment law. She is committed to providing parties with excellent, impartial arbitration and mediation services. Ms. Metzler has extensive experience handling labor arbitrations and collective bargaining in both the public and private sectors. After graduating from the University of Pennsylvania and the University of Pittsburgh Law School, Ms. Metzler began her career at the National Labor Relations Board (NLRB) as a Trial Specialist and Field Attorney. In those roles, she served as a neutral investigator, fact-finder, hearing officer and litigator. Ms. Metzler prepared representation decisions, facilitated numerous settlements between labor and management, and tried unfair labor practice cases. 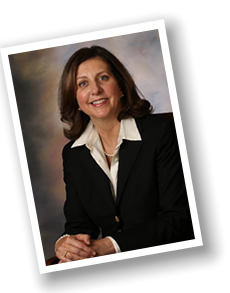 In private practice for over 20 years, Ms. Metzler handled all aspects of labor relations and employment issues. Her practice covered labor arbitrations, collective bargaining negotiations, workplace investigations, EEO charges, wage and hour issues, and matters before various federal, state and local agencies. Ms. Metzler conducts seminars and trainings for the American Arbitration Association (AAA), the National Academy of Arbitrators and the American Bar Association. She is on the roster of the AAA Labor Panel, FMCS, Pennsylvania Bureau of Mediation, Pennsylvania Labor Relations Board’s List of Arbitrators and Fact-Finders, and various private panels. Ms. Metzler is a Fellow of The College of Labor and Employment Lawyers. In her role as a neutral arbitrator and mediator, Ms. Metzler brings an exceptional level of expertise to your matters. She will provide impartial and professional arbitration services if you are looking for a fair and well-reasoned approach to your dispute. She is available to work with the parties in reaching a mutual resolution if they prefer to mediate the issue or problem.